Microsoft Outlook is widely used by businesses and home users as an email manager. But many error messages occur frequently while using this application. A common but frustrating errors is ‘0x80004005’. Sometimes, the following error message is displayed by Outlook while trying to open any email: Sending and receiving reported error “0x80004005”: The operation failed. And the user will not able to download the incoming mails. Note: You may get similar error messages (0x800ccc0d or 0x800ccc0e) while sending emails also. The reason behind this error is the script blocking feature Norton Antivirus. If the script blocking setting (Enable script blocking) is ON in Norton Antivirus, it will cause Outlook to display this error message. 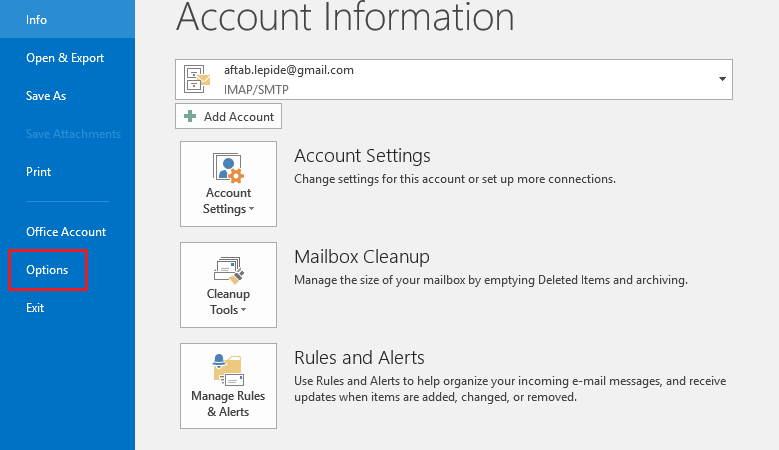 How to fix the Outlook error 0x80004005? Disabling script blocking feature may be dangerous from the security point of view. So consider your security requirements of your environment before lowering it. Now have a look at the different methods by which can remove the ‘Operation failed’ error from your system. If you are using Norton antivirus as your anti-virus program, then you must disable its script blocking settings (uncheck the ‘Enable Script Blocking’ option). For more information, please visit the Norton website. Click the File menu in the ribbon and choose Options from the list. It will open a dialog box named Outlook Options. Go to the Mail tab. 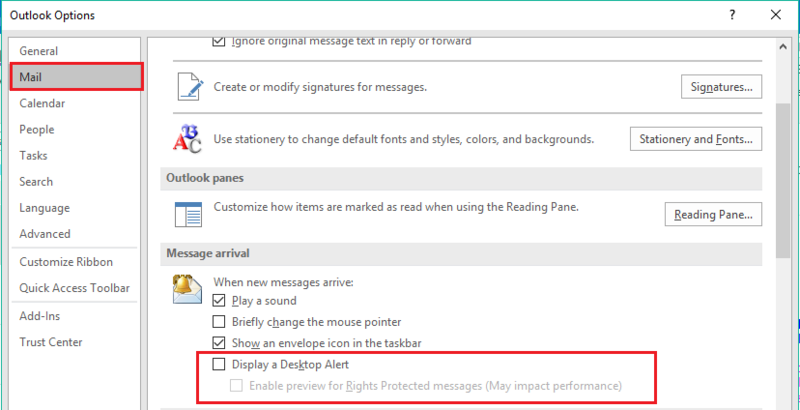 Under the Message arrival section, uncheck the Display a Desktop Alert option. It will stop the desktop notification of the incoming messages. Also, Outlook users face many other issues like corruption of PST files. In such situations, it is better to use an efficient third-party application that can recover the Outlook data without any discrepancy or loss. Kernel for Outlook PST repair is a competent professional data recovery tool that has been developed specially for this purpose. It can retrieve the data from PST files created in any version of MS Outlook. I have got other errors, when sending a mail. The error code is “0x800ccc0d”. Will this utility help me to fix Outlook error 0x800ccc0d? Yes, you can easily fix Outlook error 0x800ccc0d, by using the Outlook PST repair software. You should try a free demo of this utility to solve your issues.